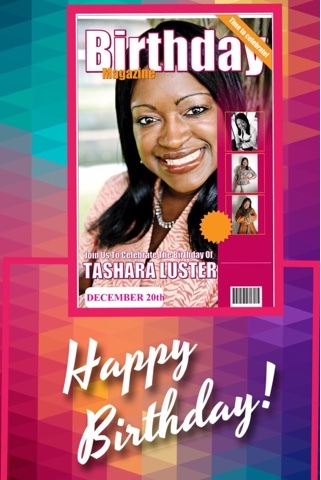 Thanking God for another Blessed Birthday!! Here's to Living My Best Days which are Ahead of Me!!! Please Help Me to Spread the Word about this Dynamic & Epic Total Woman Conference! Here is a personal letter and invite for you to email and even printout & pass out to every woman at your church, in your family, in your circle of friends, & those in your organization & business! I believe that there is such a demand for a conference of this caliber in the Kingdom of God today. Registration is Only Available Online Until 3/16/16! No Onsite & No at the Door Registration! 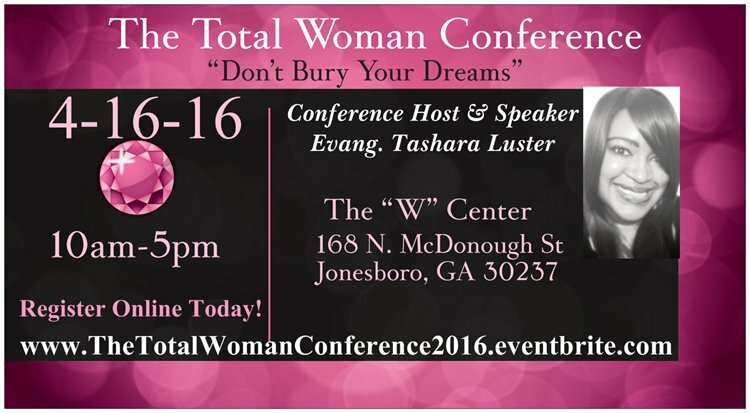 The Total Woman Conference is a one day event of empowerment to equip women to possess their dreams. This conference will deliver strategies and revelation that will assist women to tap into and maximize their God given destiny & dreams. This is more than just a Conference; it is a clarion call for you to step into the Divine Destiny of Your Dreams! This Conference will not only empower & equip you to finally fulfill your dreams, but you will have an opportunity to get real answers to the questions that you have concerning your life and dreams. We will have Amazing & Anointed Worship, an Empowerment Master Life Session on Possessing Your Dreams, a Fabulous Luncheon, a Talk Show, & we will also have “The Mind of a Man” an All Male Panel Discussion so that you can get real answers to the relationship questions that you have! We will conclude with a Book Signing, so please bring your Total Woman Book. If you don’t have the book, it is available online and wherever books are sold! The Total Marriage for Christmas!!! Give A Gift That Will Inspire LOVE! Give the Gift of The Total Marriage This Christmas! Two Different Ways to Give & Sow!